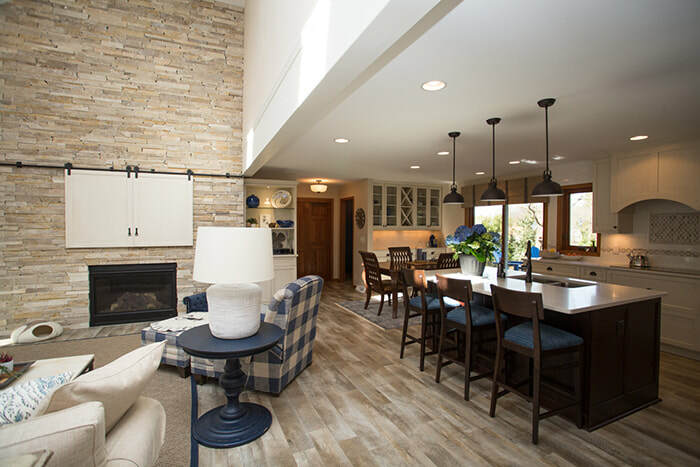 We made an update to nearly every room in this home, including the obvious places like the kitchen, bathrooms and living room. 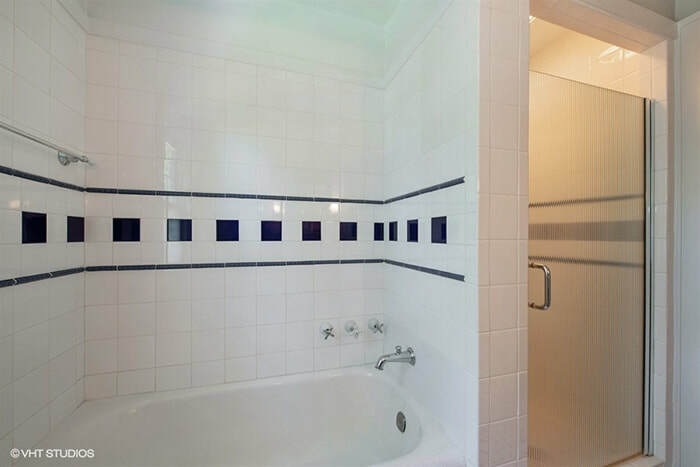 But we also updated bedrooms, the laundry area, hallways, staircases and even the back patio. 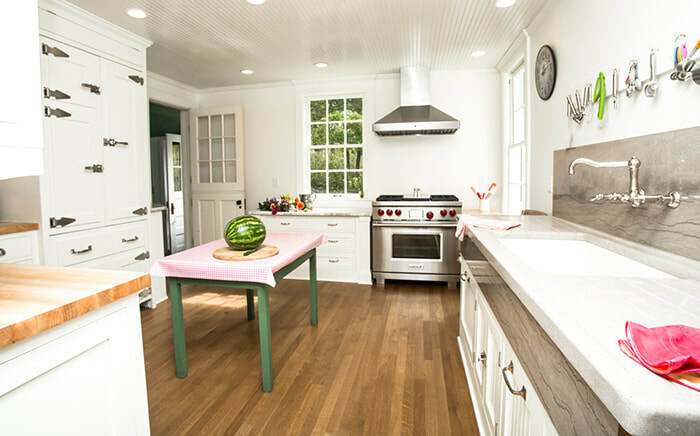 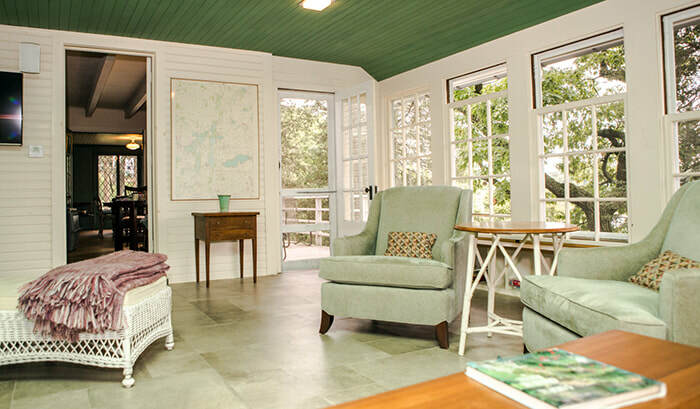 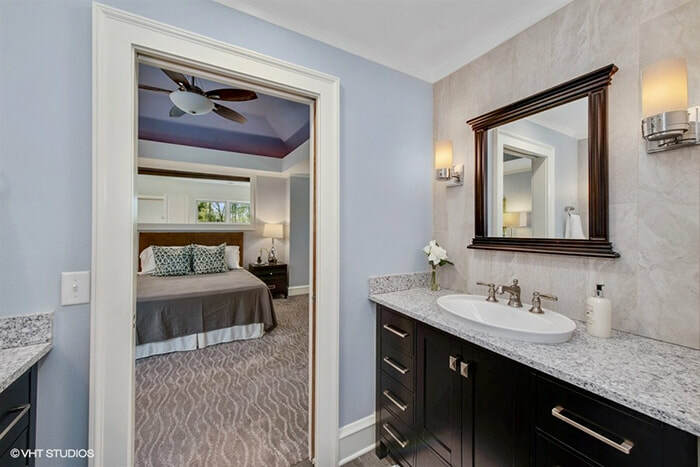 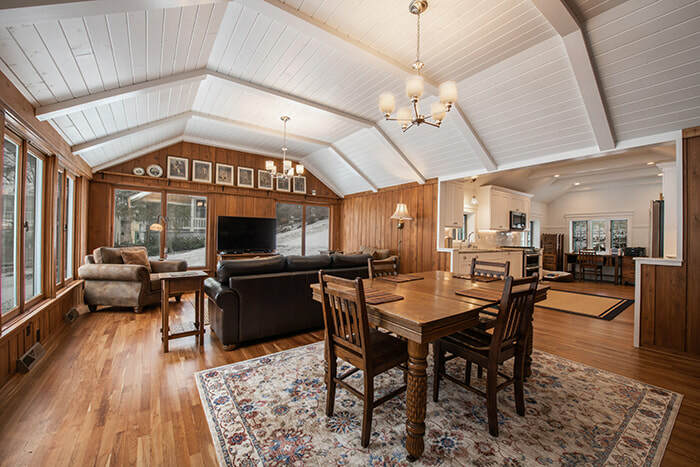 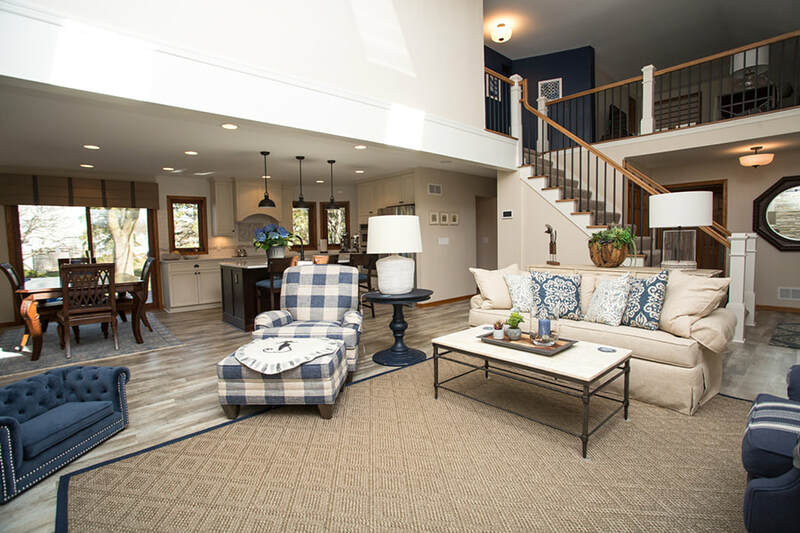 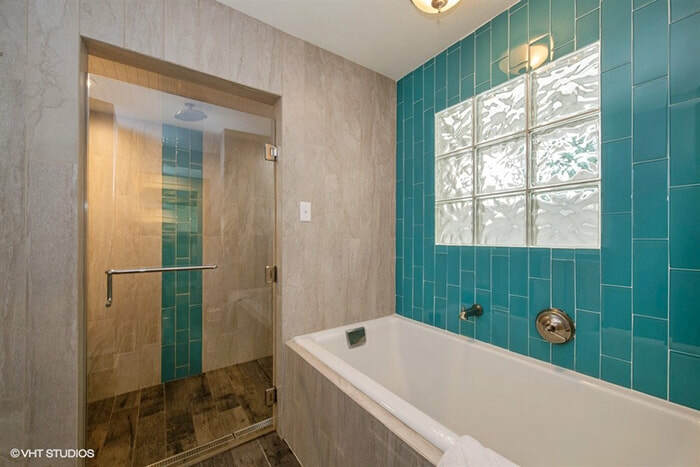 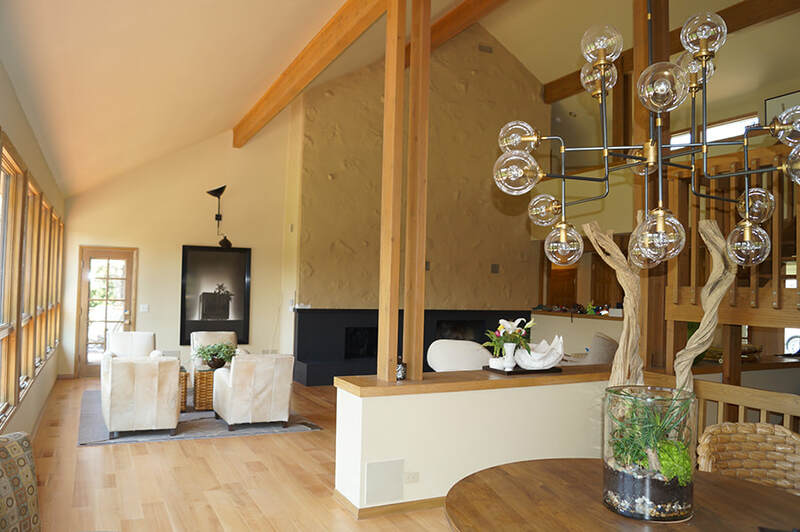 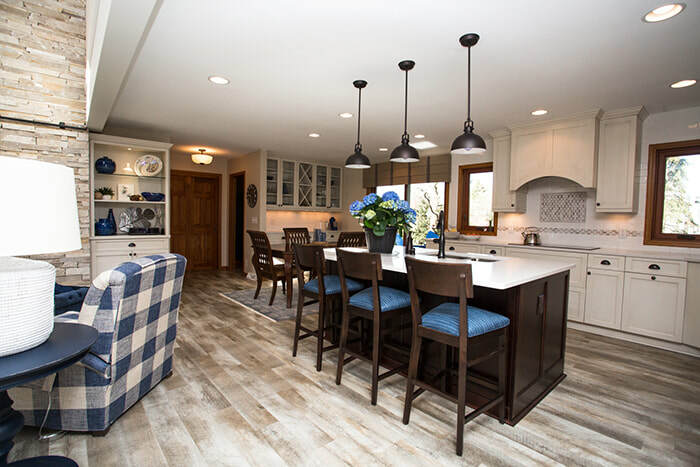 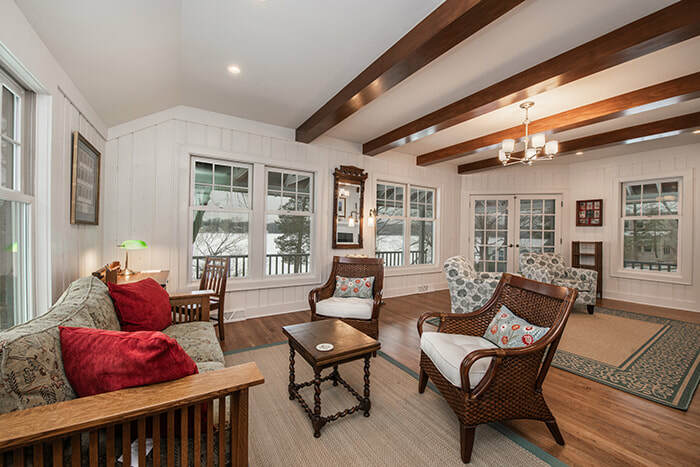 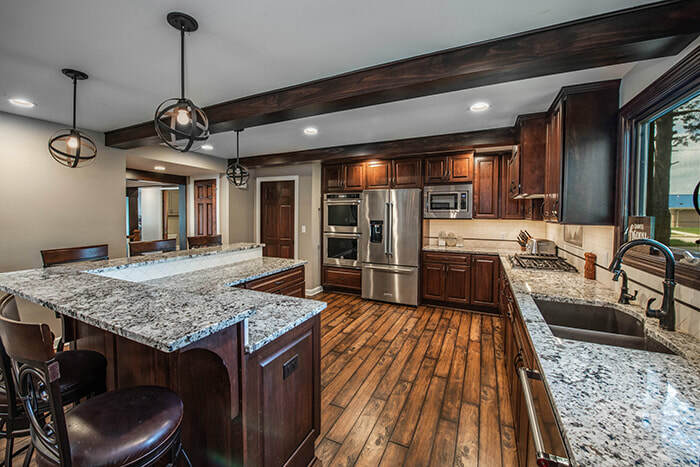 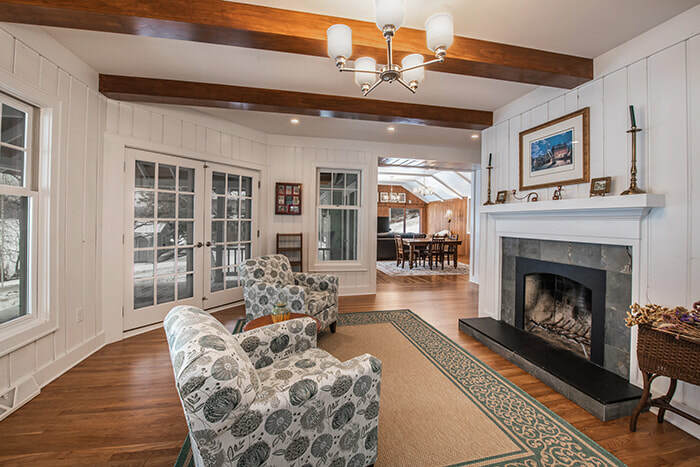 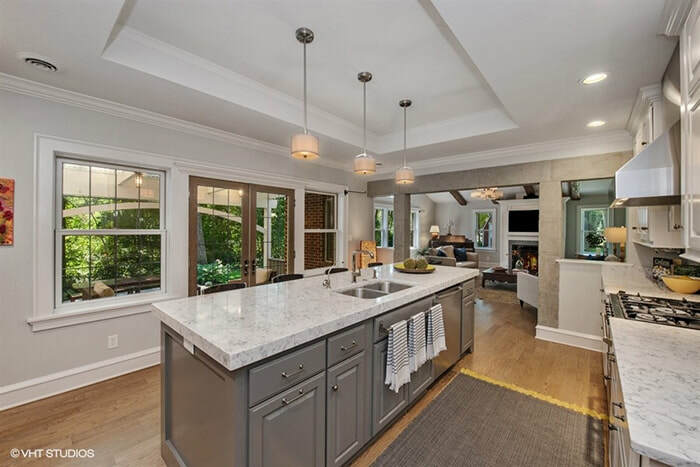 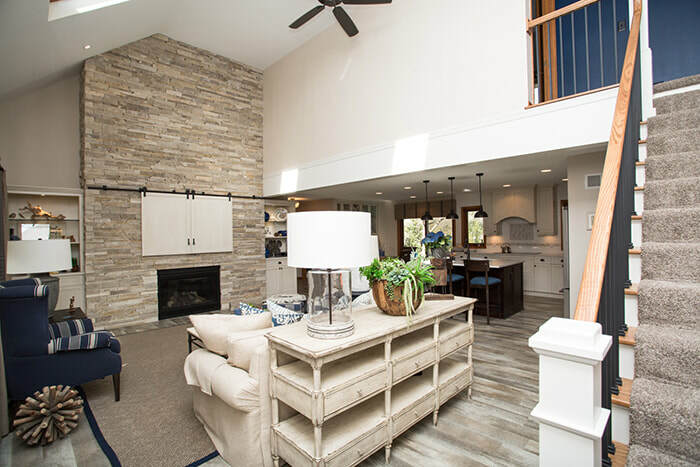 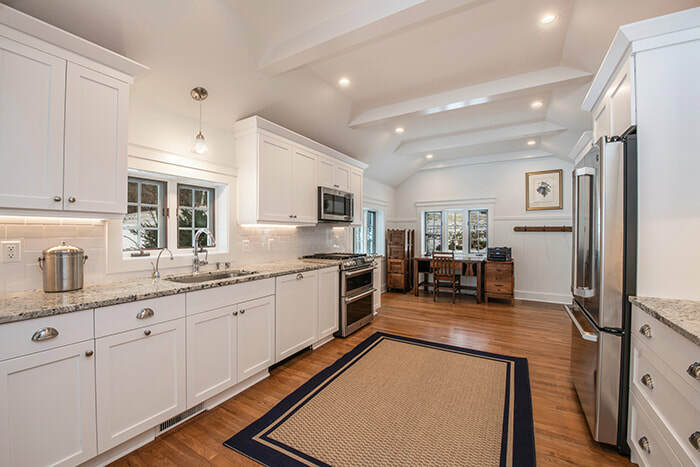 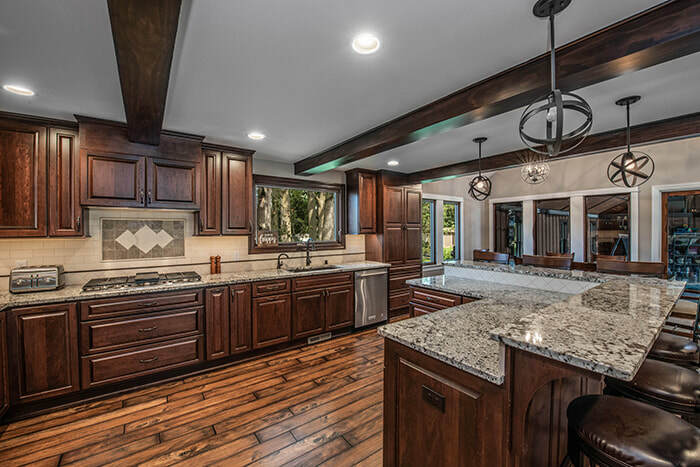 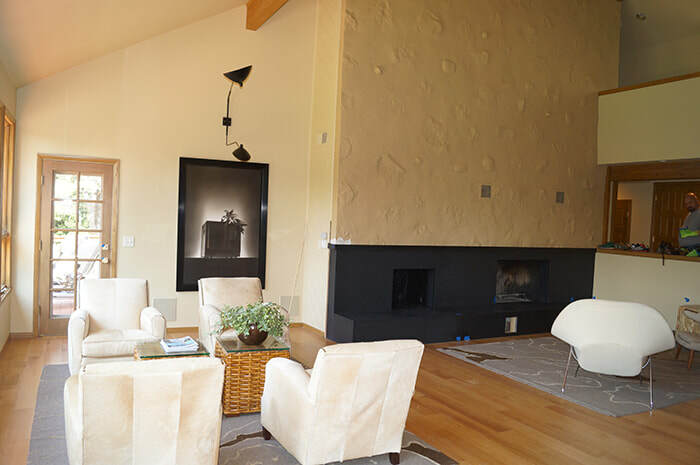 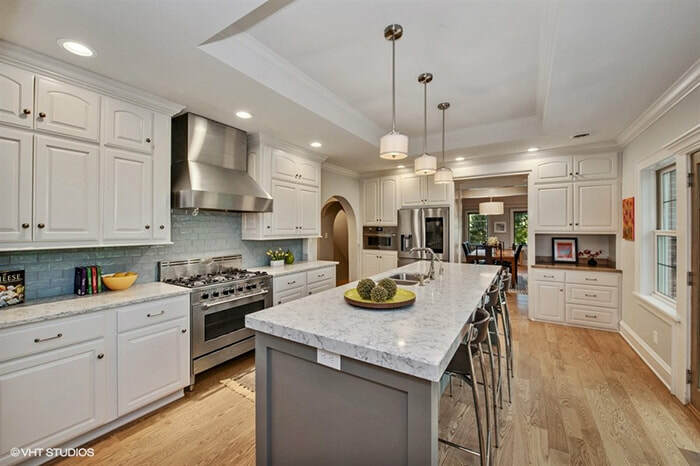 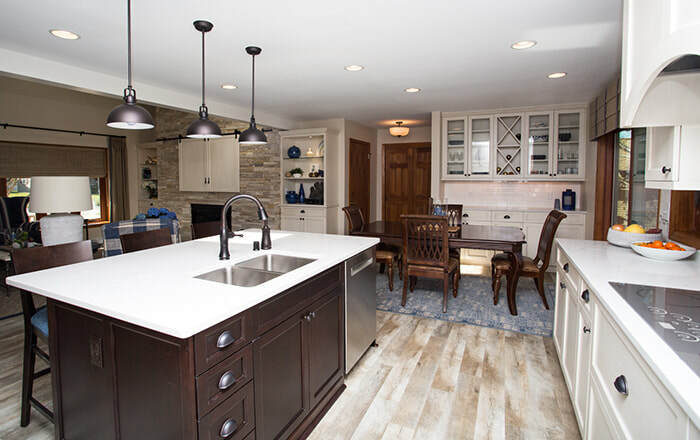 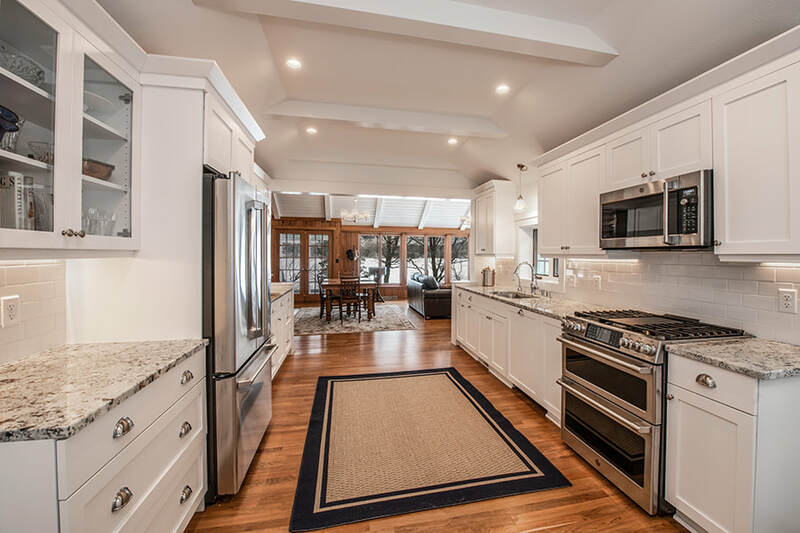 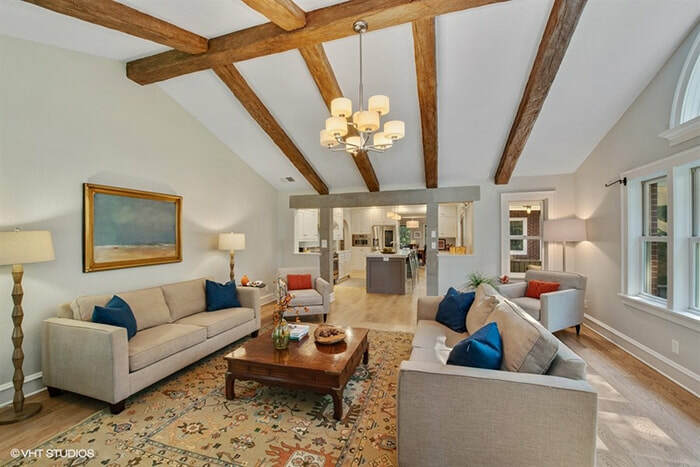 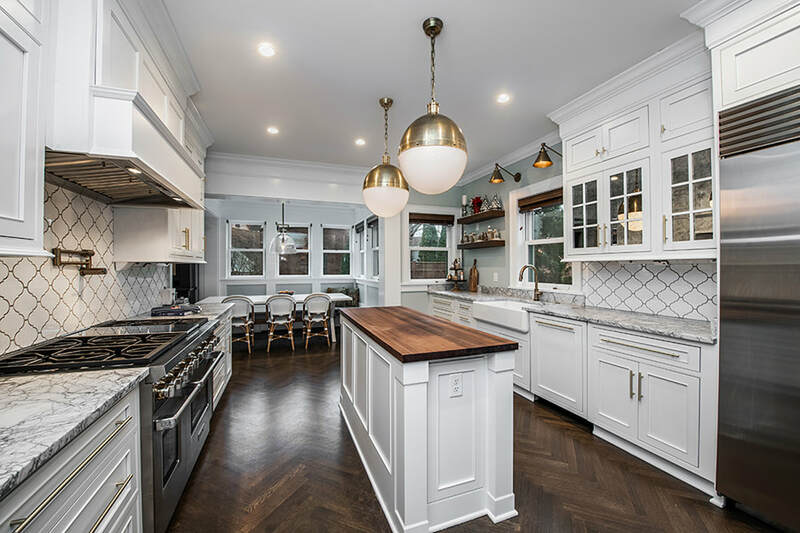 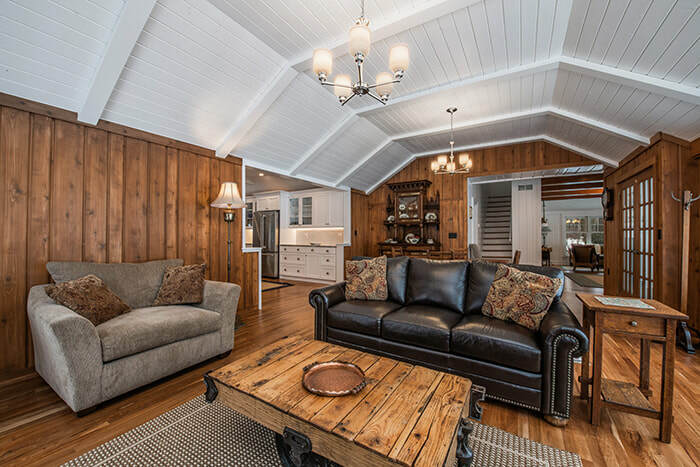 You might think mixing the charm and grace of that classic cottage feel with contemporary design and modern amenities would be challenging, and you'd be correct, but this Chenequa home remodel shows how beautiful it can turn out when done right by our team of professionals. 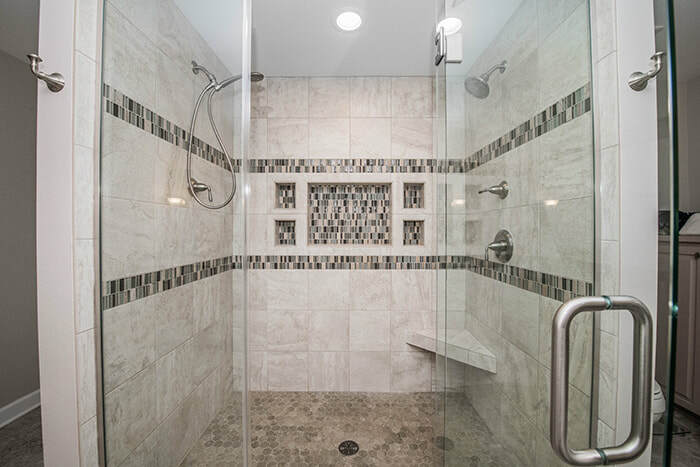 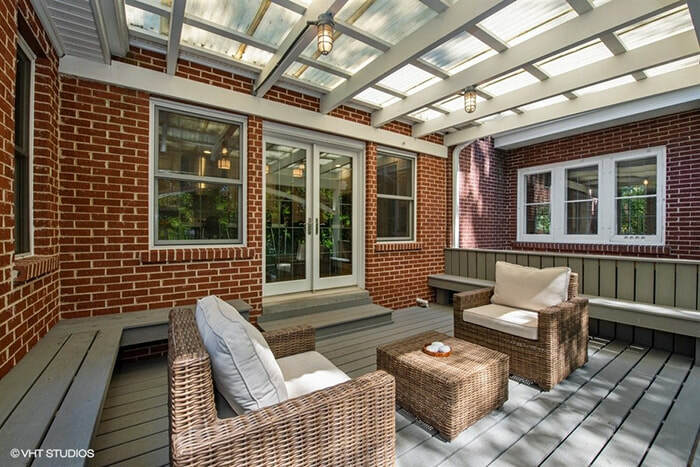 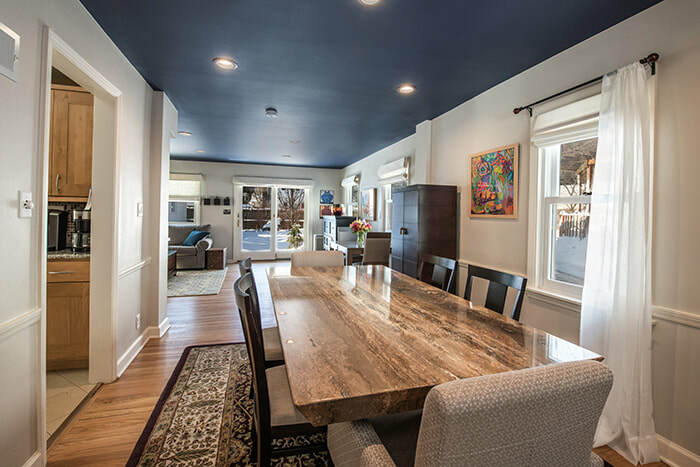 Just like people, homes can also have amazing make-overs, which is the case for this Hartford home. 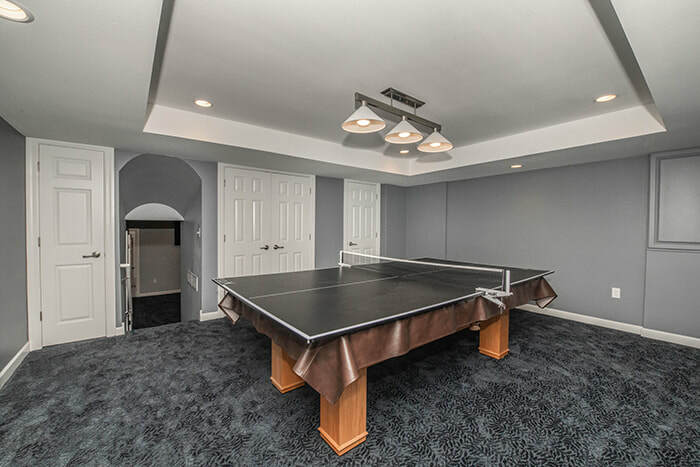 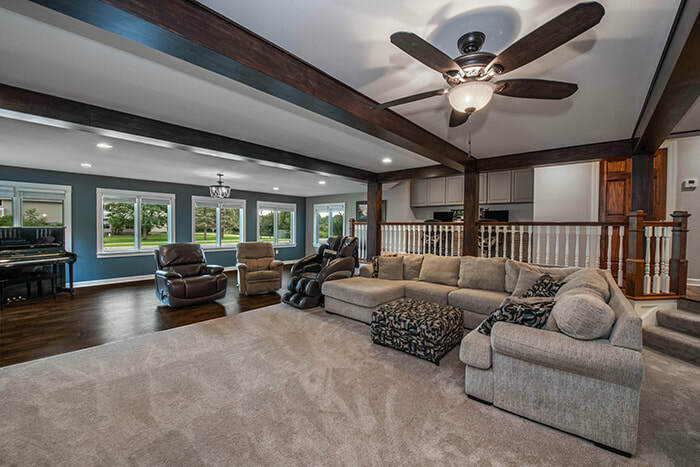 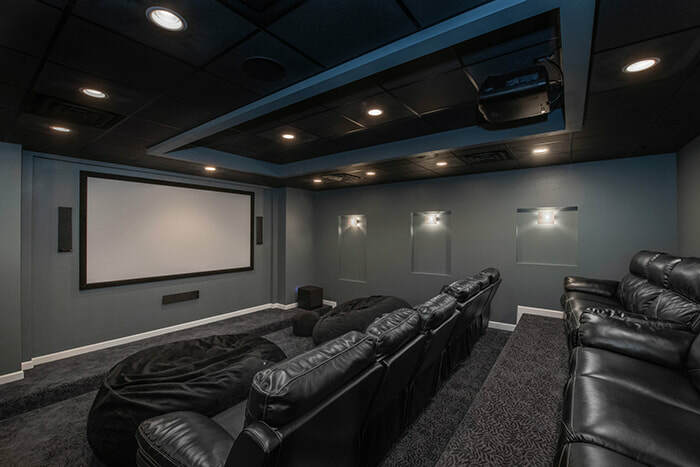 Updates were made to the family room, kitchen, bathrooms, entry way, and even the addition of a home theater in the lower level. 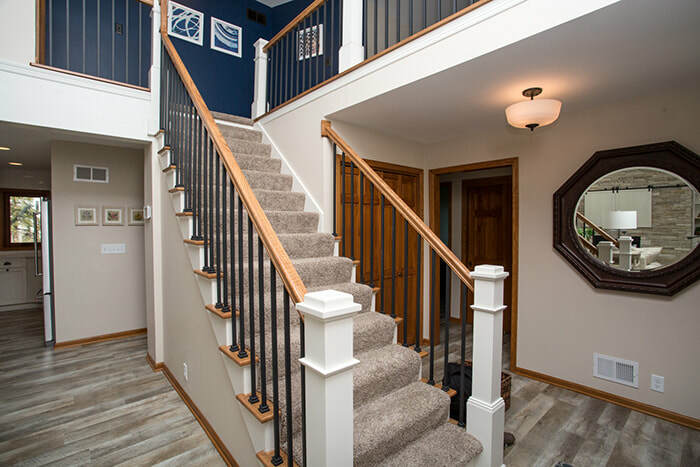 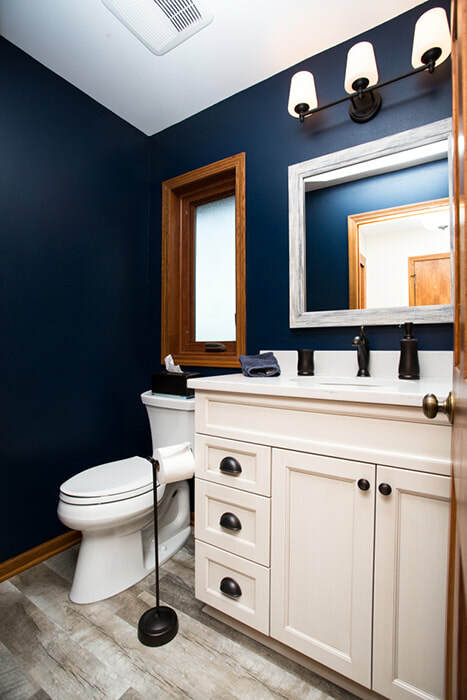 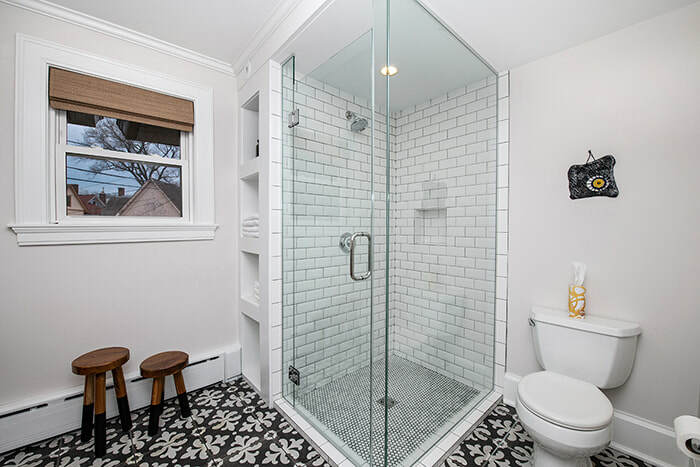 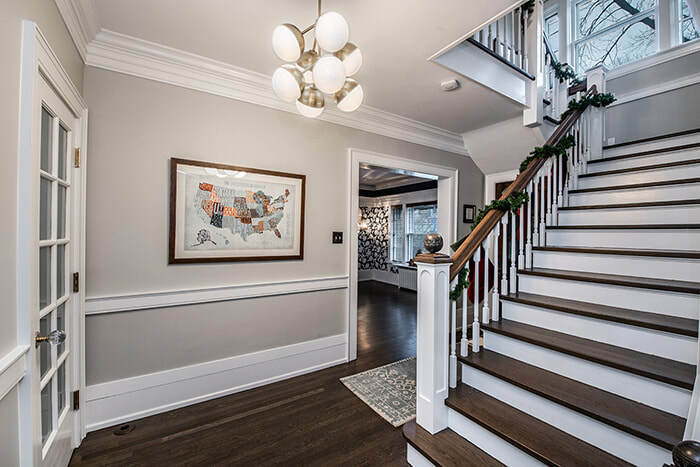 This older Eastside Milwaukee home provided some challenges, like removing a back staircase and wall, relocating a first floor powder room, and adjusting the main entry way. 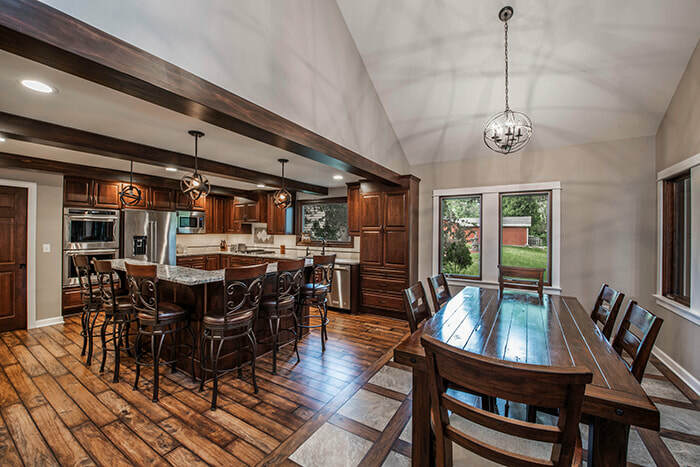 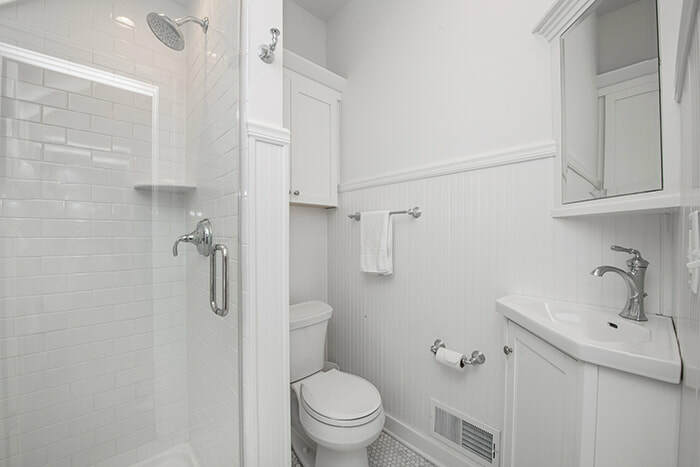 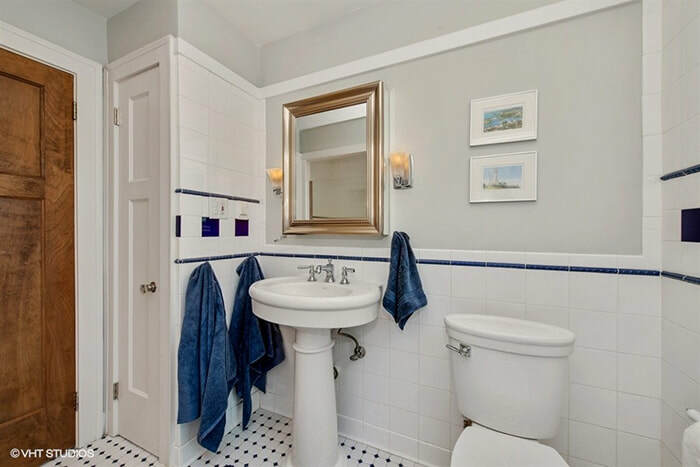 It also features an amazing new kitchen with dining nook and fully redesigned upstairs bathroom. 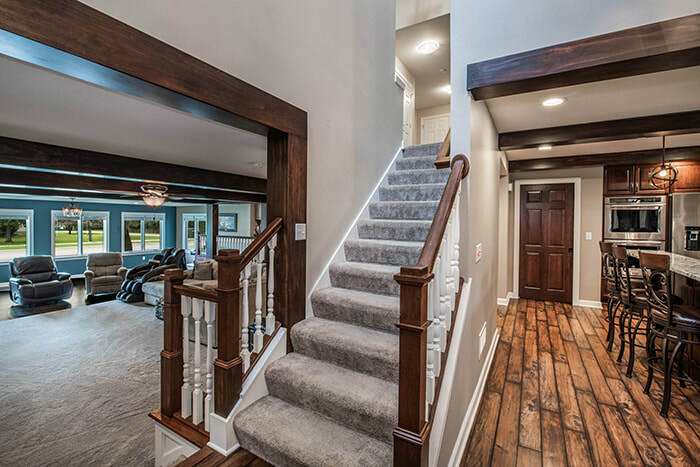 We helped this New Berlin client open and update their first floor with an architecturally impressive staircase, providing amazing views to/from either level. 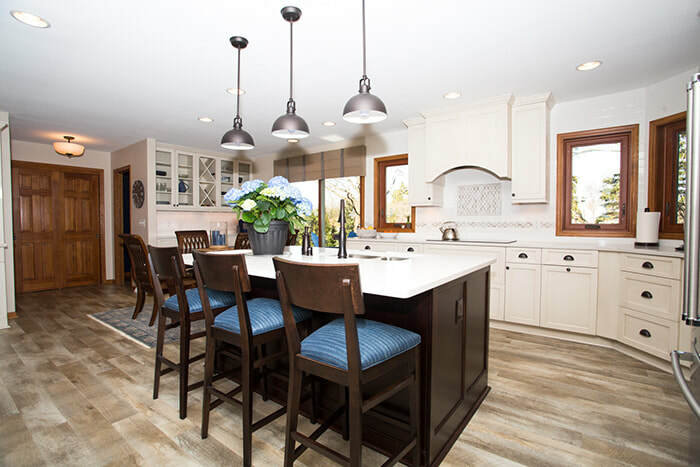 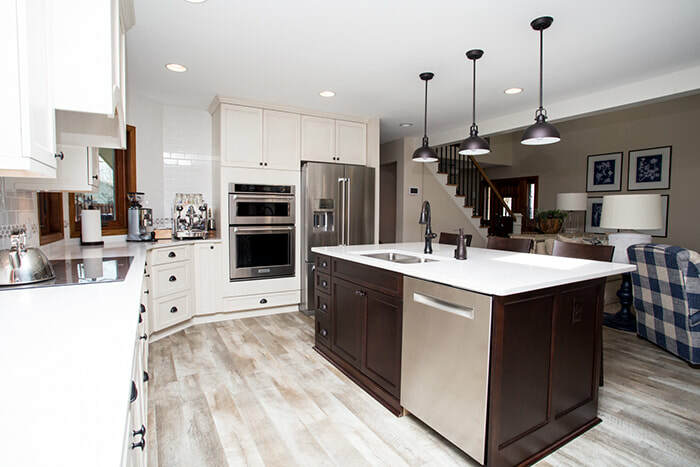 The updated kitchen has become a focal point, and blends beautifully into other areas of the home. 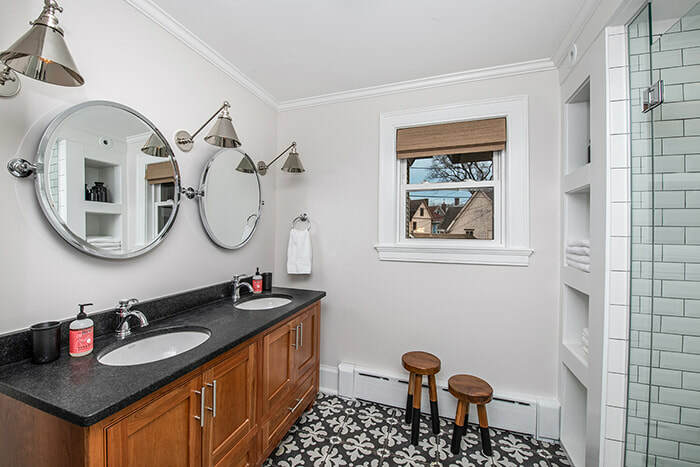 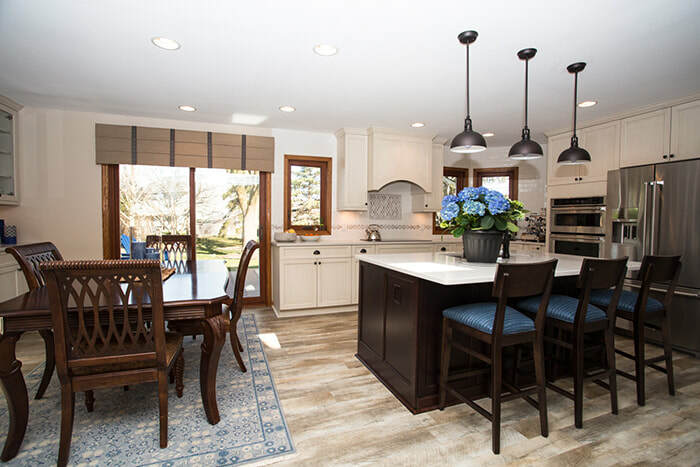 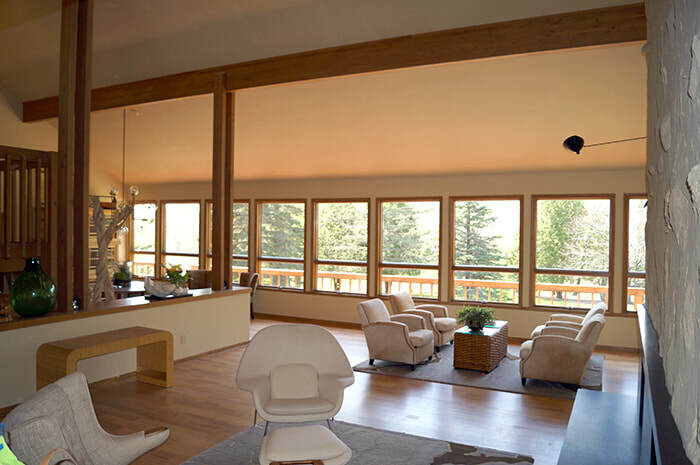 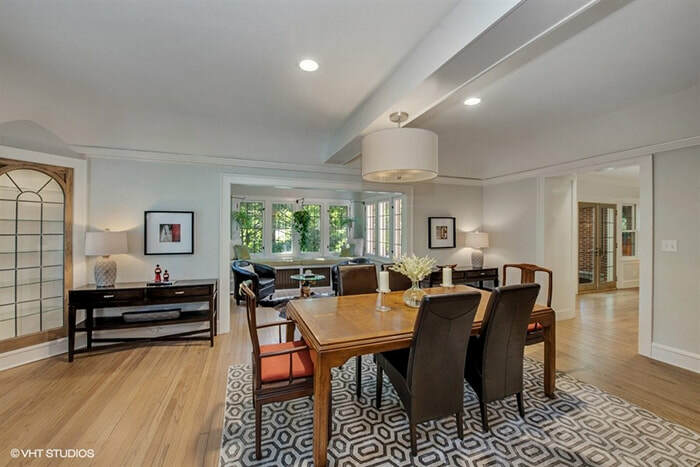 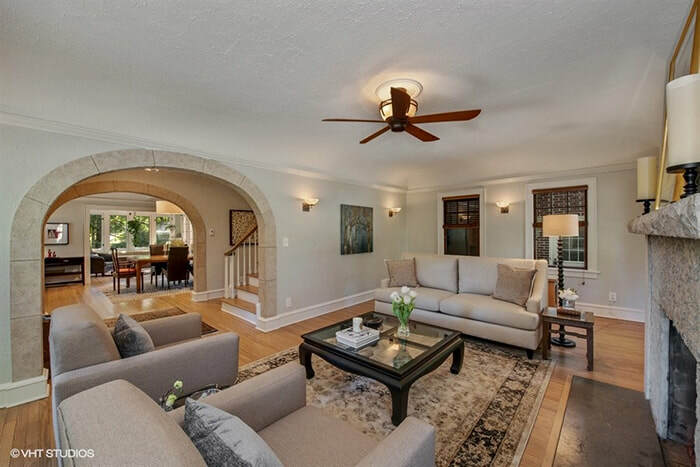 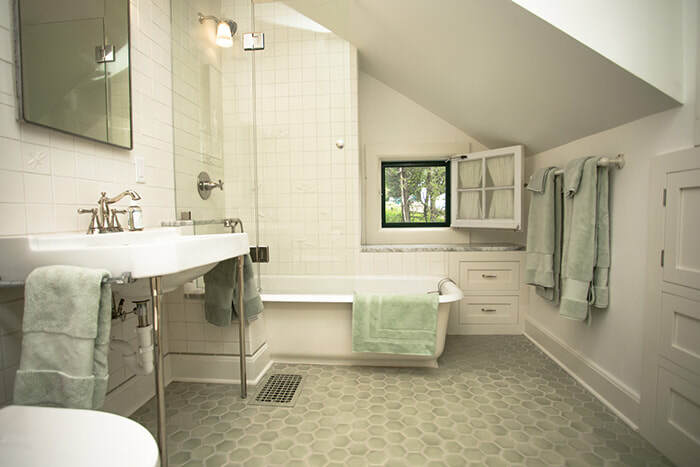 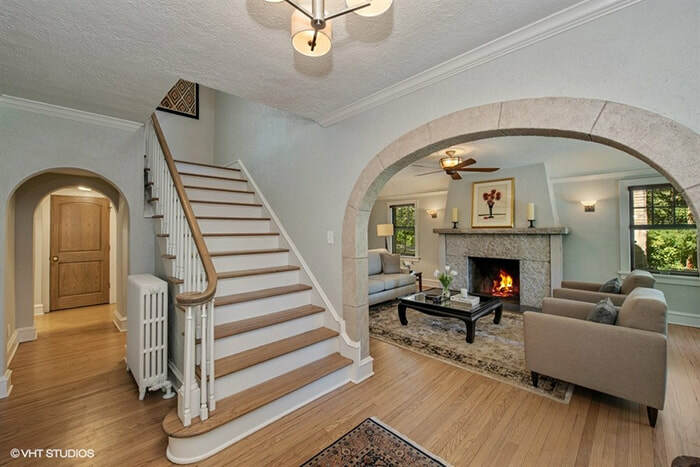 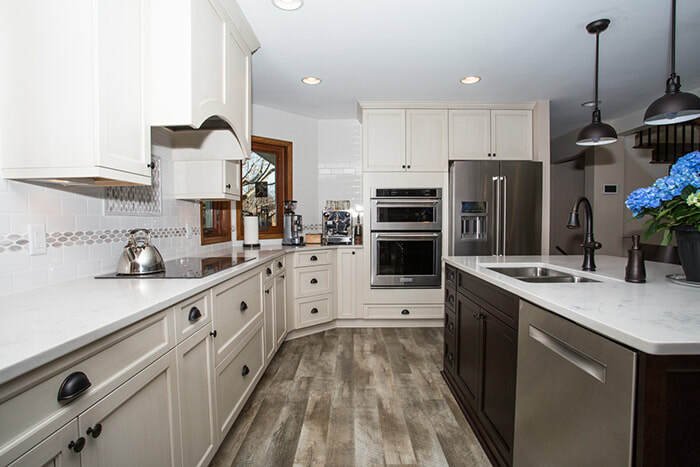 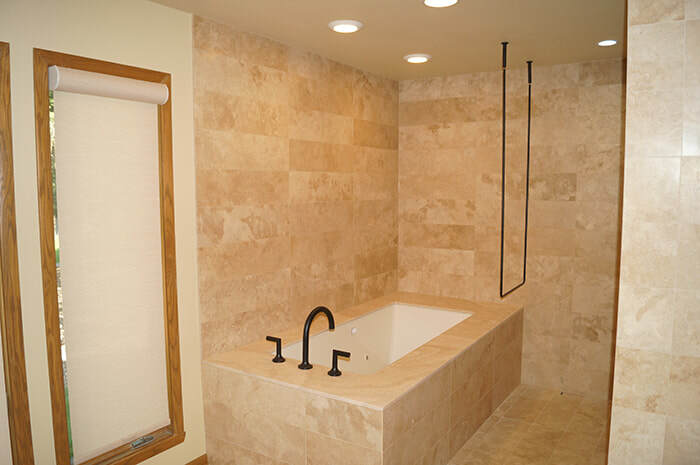 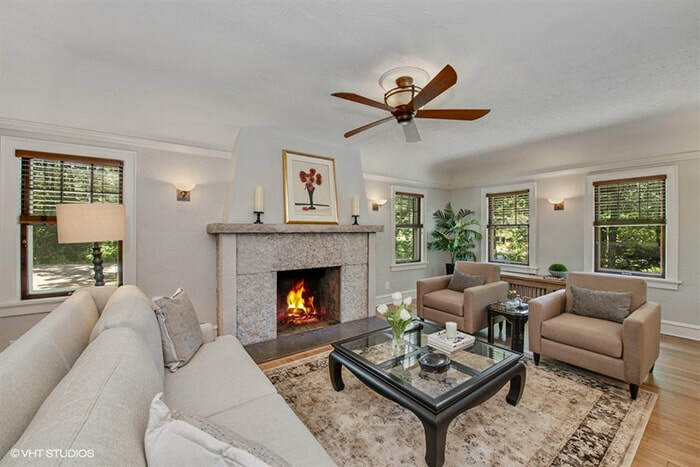 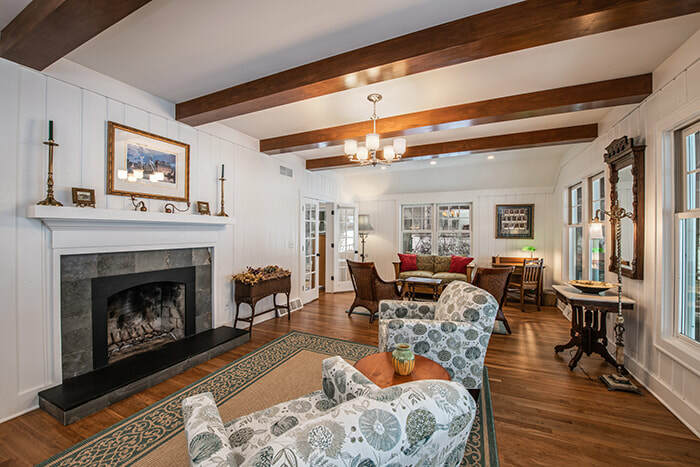 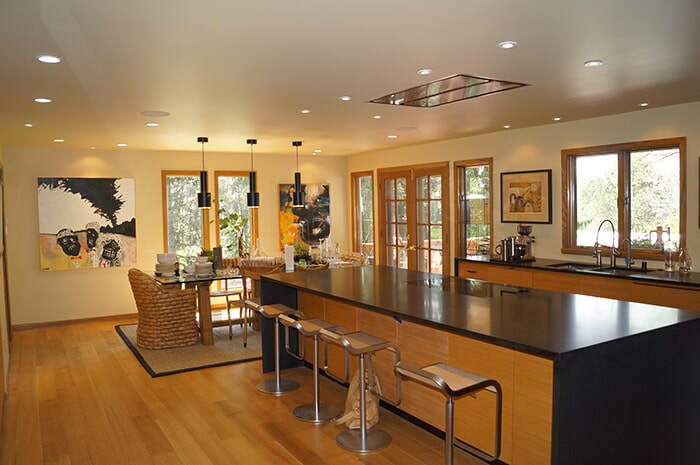 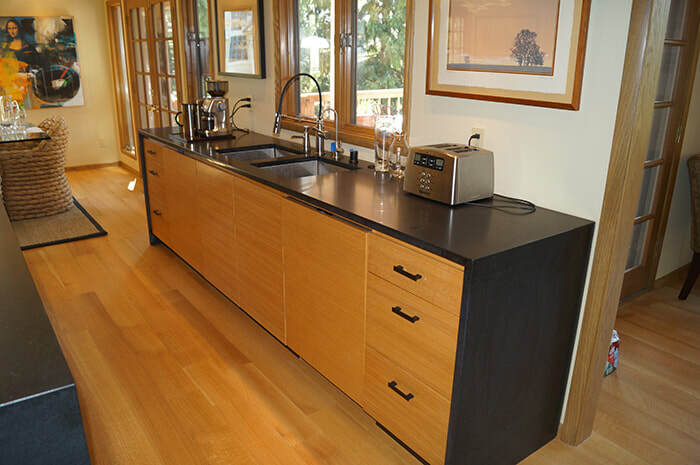 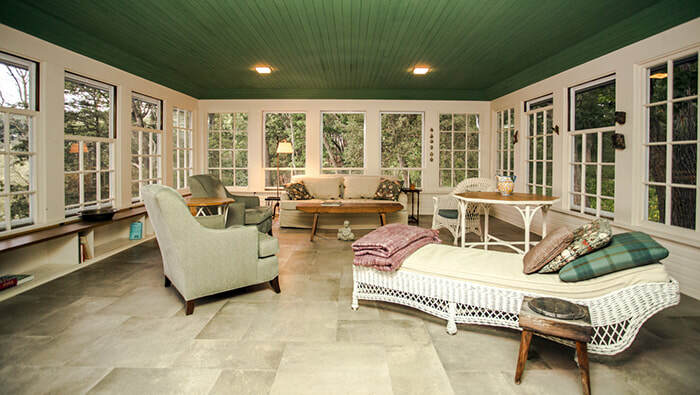 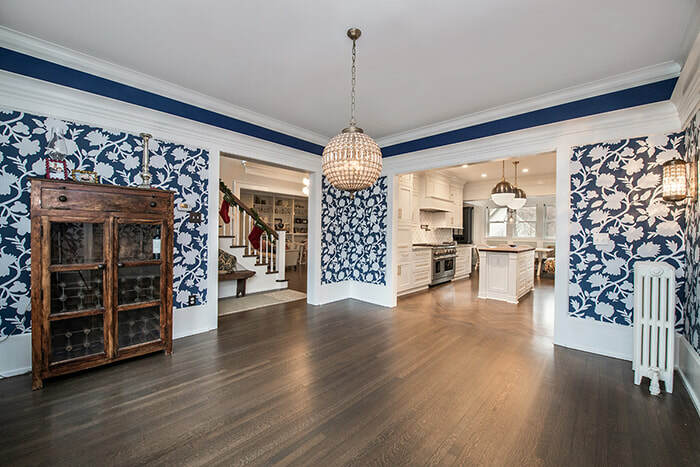 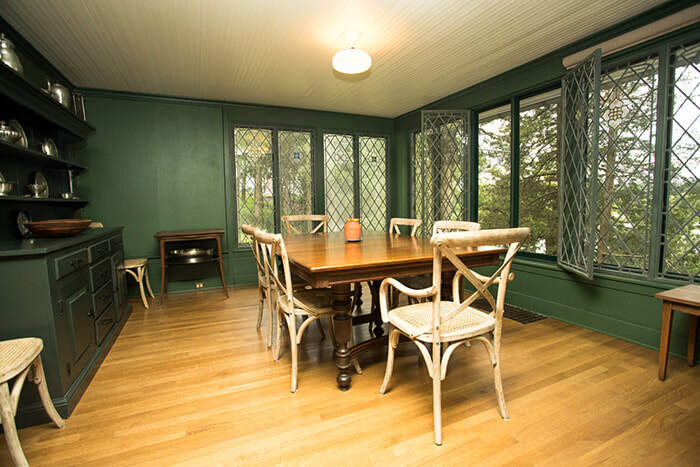 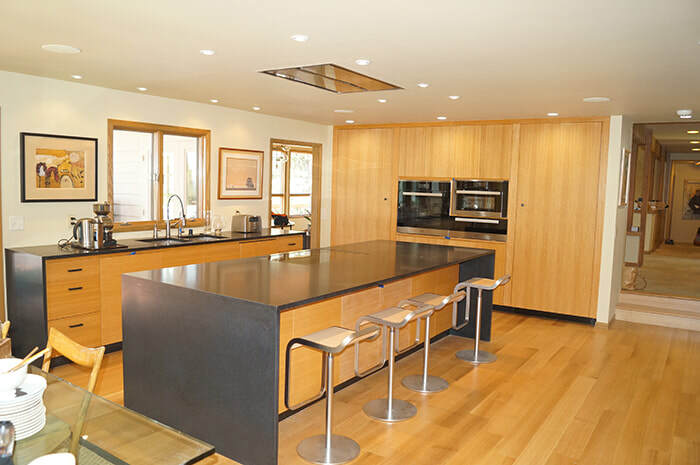 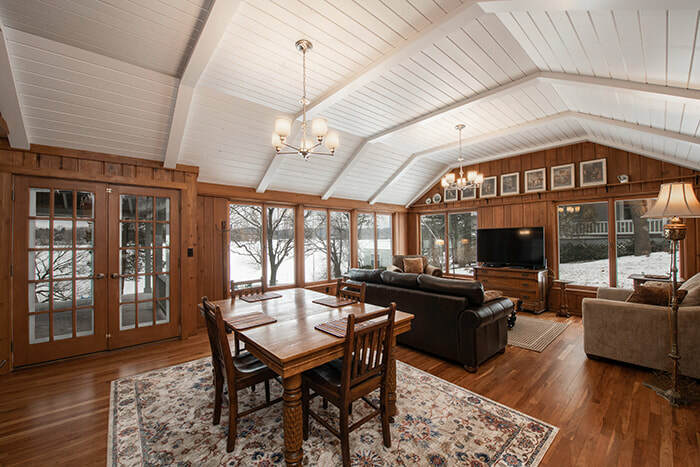 This established Whitefish Bay home had charm & warmth, and our job was to keep that feel in our updates. 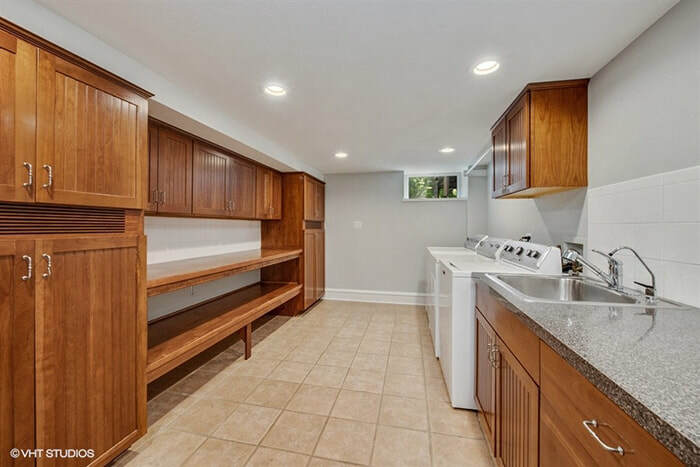 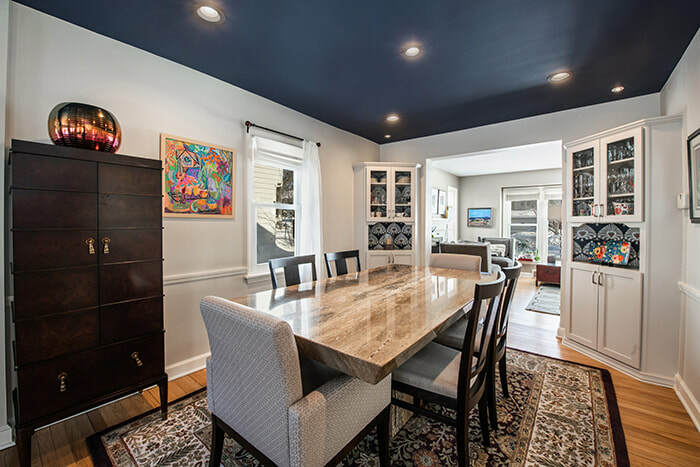 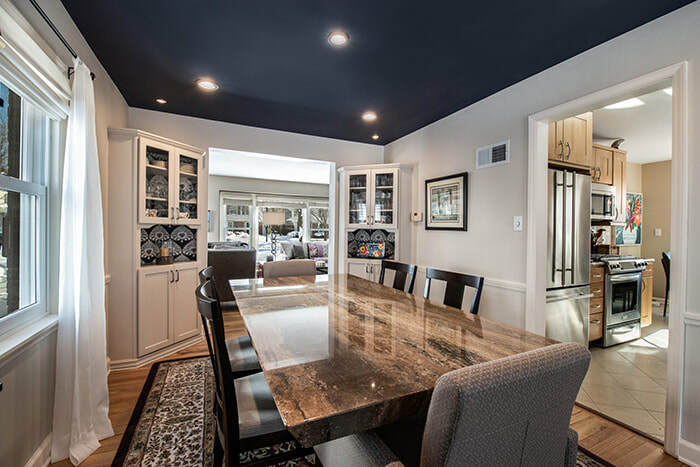 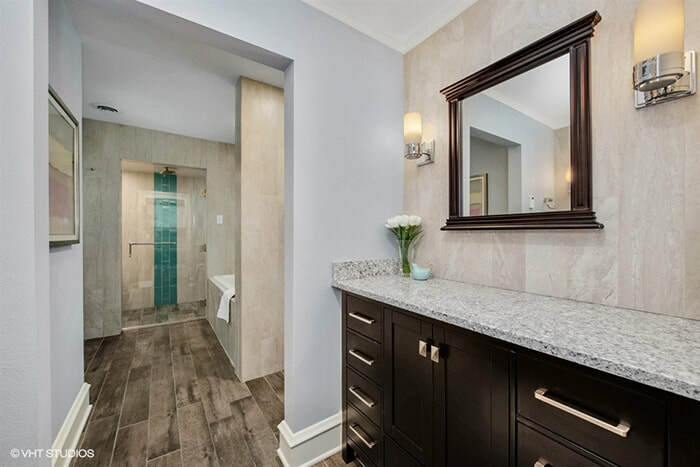 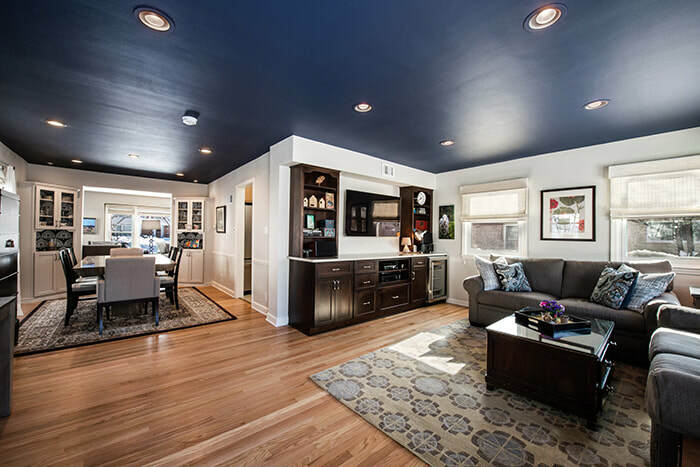 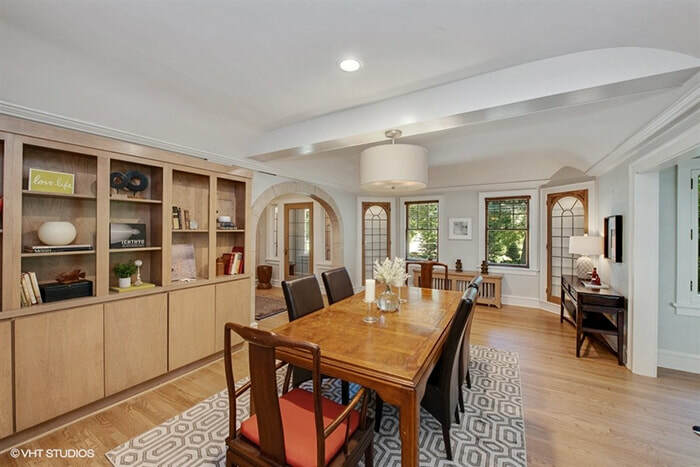 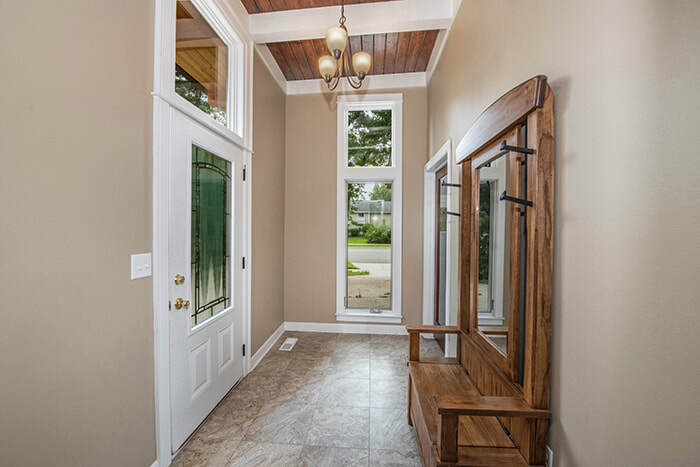 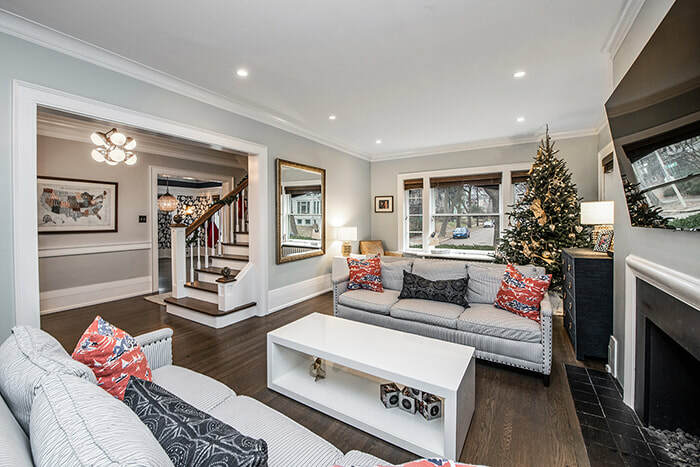 We removed a wall and existing built-ins, then remade similar built-ins in new areas and the end result is a beautiful new space which opens up the whole house, bringing it all together. 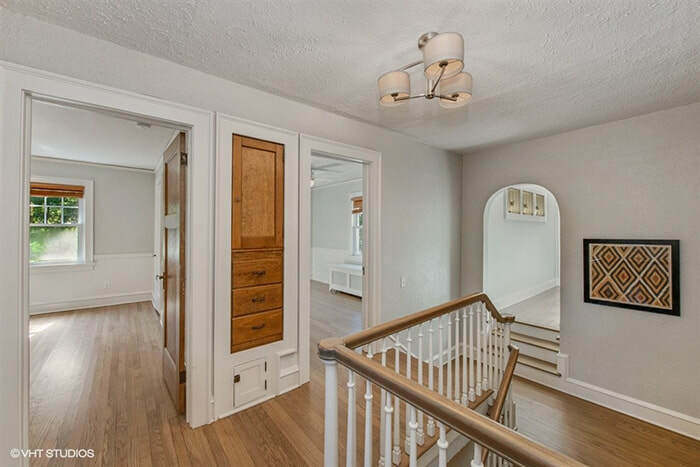 This home was already amazing, with it's great history, beautiful lake views and unique rooms, we just helped it look even better. 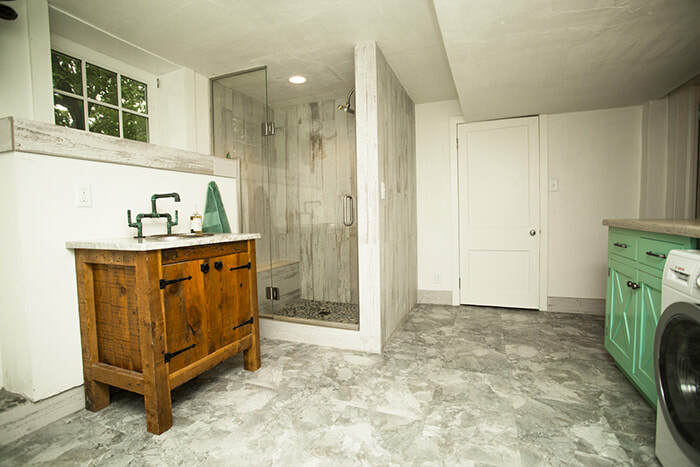 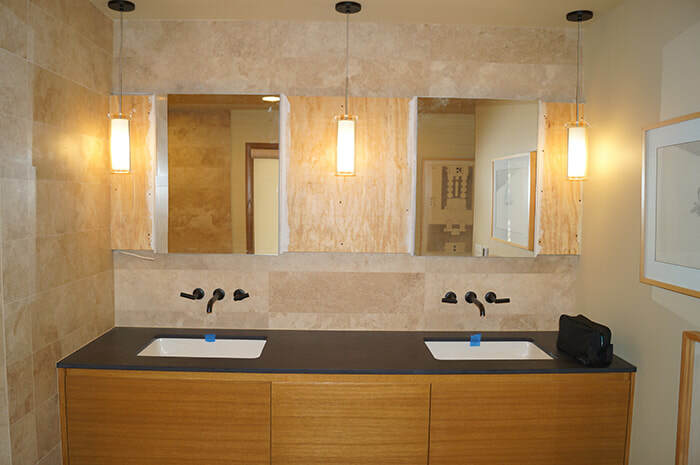 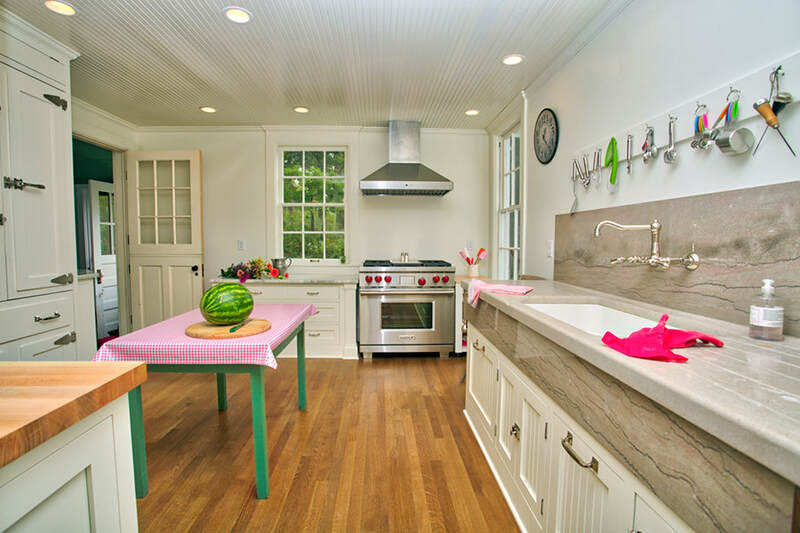 We updated all the woodwork, and the kitchen and bathrooms were modernized while keeping a "retro cabin" feel. 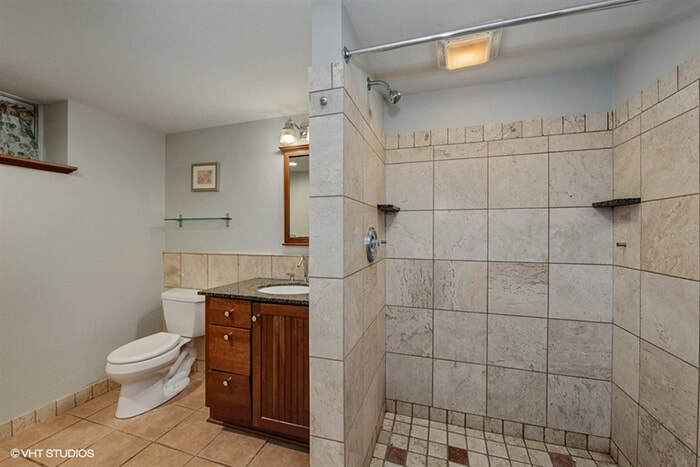 Pictures can't communicate the overall impression this place offers. 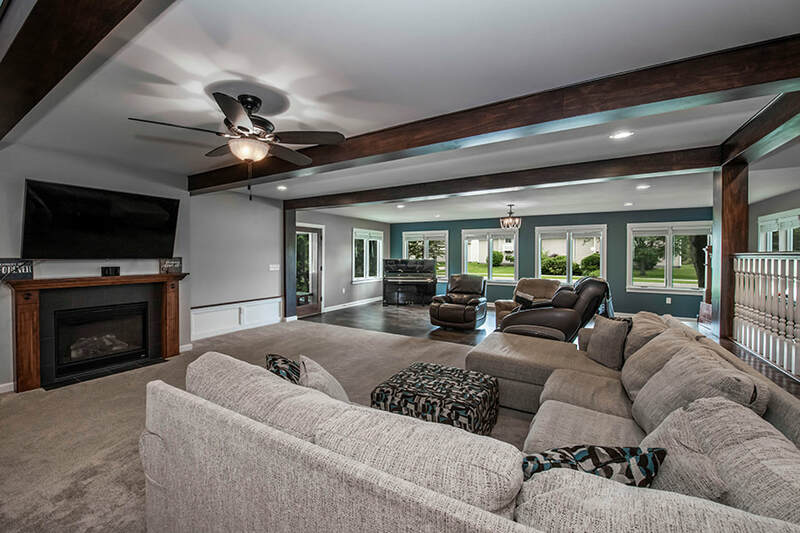 This River Hills home features a modern open concept, blending the first floor into one common area perfect for entertaining or family. 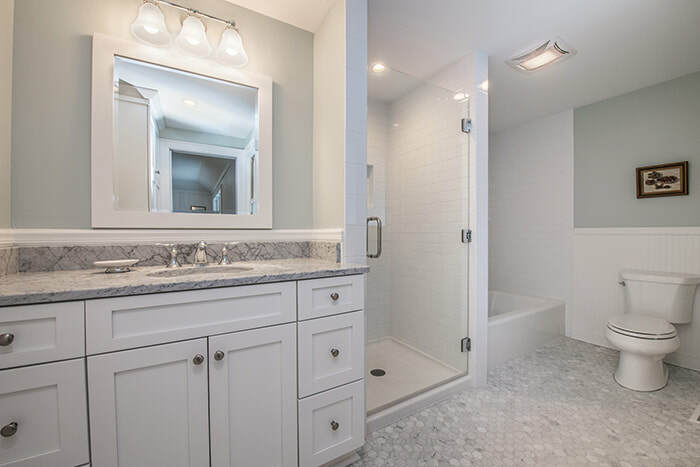 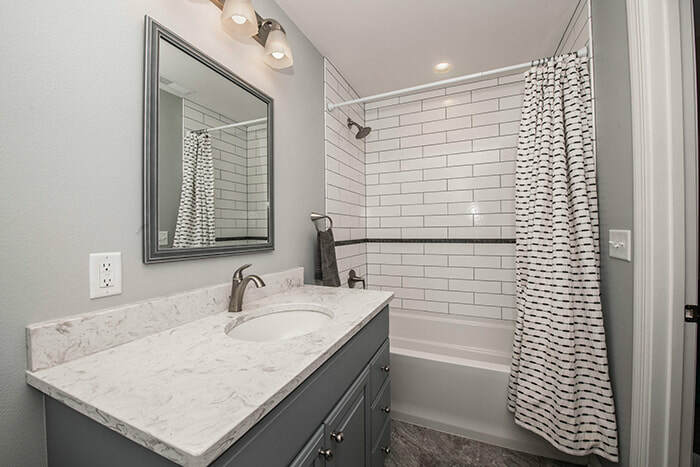 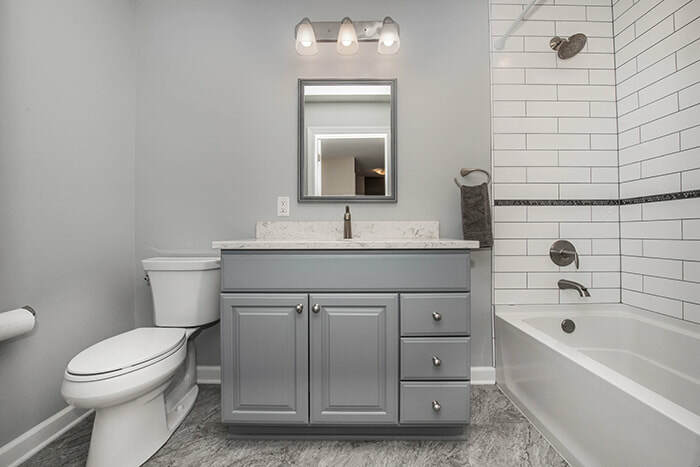 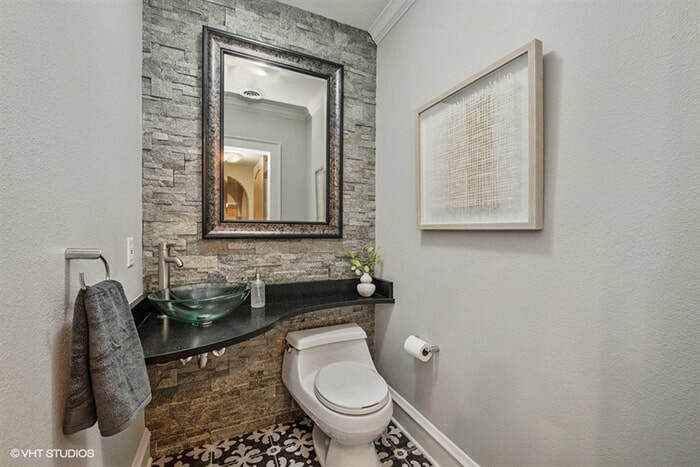 We also updated the master bathroom. 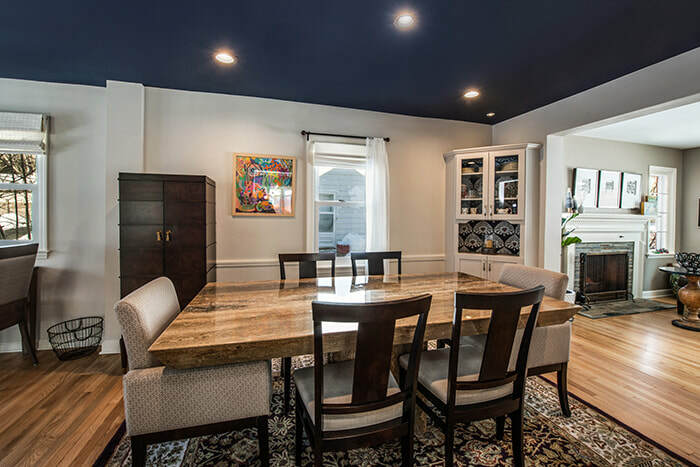 With bold colors and interesting architectural elements, this whole house remodel in Glendale creates unique spaces, from the vaulted ceilings in the living room or the wrought iron staircase railings, to the dimensional woodwork on the kitchen ceiling or the cut-out headboard in the bedroom.